You gotta try it: Norwegian Salmon with Saffron Butter Garlic Sauce - Two methods of cooking an easy dinner recipe! 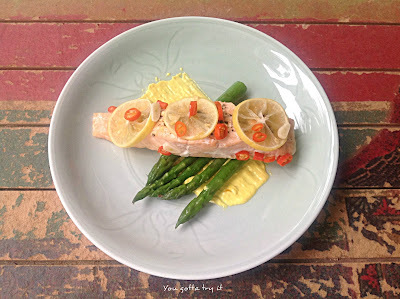 Norwegian Salmon with Saffron Butter Garlic Sauce - Two methods of cooking an easy dinner recipe! 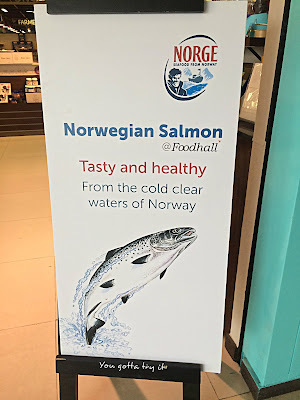 I love Norwegian Salmon <3 <3 It's an imported fish which is very exclusive and not easily available in any supermarkets. If you cook it rightly with exotic flavors and served along with a sauce (optional)/ sauteed vegetables then this dish can be a perfect combo for lunch or dinner. 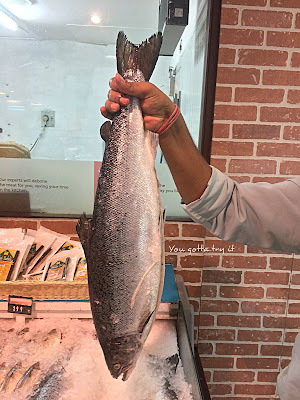 I got the Norwegian Salmon from Foodhall, 1MG Mall and they have it in different sizes, cuts and marination. I picked one big chunk of my favorite fish and asked the store person to cut it into three fillets. At Foodhall, they pack the box so nicely with tape and ice pieces. So you don't have to worry about the freshness till you beat the traffic and reach home. Salmon is world's healthiest food with high Omega-3 fatty acid content along with Vitamin B12, Vitamin D, and Protein nutritional values. This is the first time I cooked Norwegian Salmon at home and I wanted it to be a special dish. Also, I was keen on preparing both baked and pan seared preparation with few ingredients. We Indians often end up preparing gourmet stuff with too much of spices which will spoil the actual flavor of the dish. It's raining in Bangalore with cyclone hit in Chennai, our neighboring city. Bangalore is at its best climate with extremely cold weather. 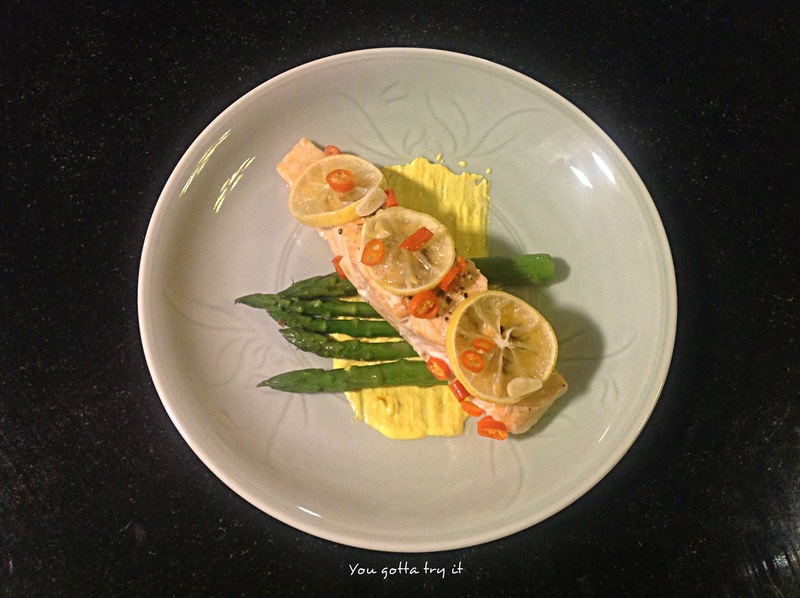 I wanted something nice and hot, so prepared two dishes- Pan seared Salmon and Baked Salmon served with Saffron Sauce. Both came out really well. 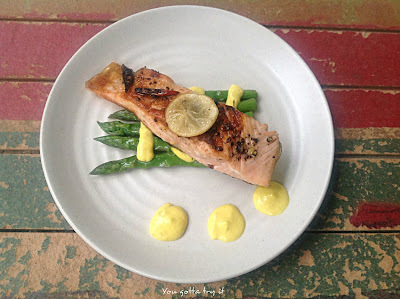 Here is the recipe for a wonderful Norwegian Salmon meal. Preheat the oven to 200°C and keep the baking tray ready. Wash and clean the fish. Pat dry it with a kitchen towel to remove the excess water. Rub the Salmon with olive oil and sprinkle salt and pepper. 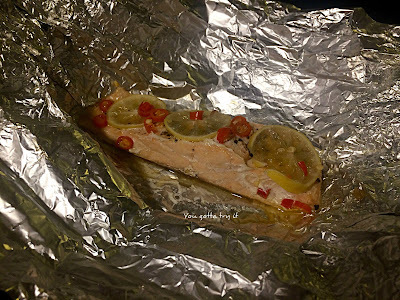 Take a sheet of aluminum foil (for salmon pockets) and place the fish on it. Place lemon wedges on it and sprinkle bird's eye chili and chopped garlic. Add few drops of olive oil (optional). Now fold it into a packet by sealing all the sides and place it on a baking dish/tray. Once the oven is preheated, bake the salmon for 20 mins on 200°C. Once it is ready, take out from the aluminum packet and serve it hot with a saffron butter garlic sauce and sauteed veggies. Heat a grilling pan with butter and olive oil. Prepare the fish by rubbing olive oil, salt, pepper and arrange lemon wedges on it. Sprinkle bird's eye chili and chopped garlic. Cook each side for 3 mins. Serve it hot with saffron butter garlic sauce and sauteed veggies. Heat butter in a saucepan and add the chopped garlic. Saute well. Add all purpose flour and stir well for few seconds. Add the saffron water, salt, and heat till bubbles starts coming. At this point of time add the heavy cream and stir the mix with a whisk. Add water if sauce is too thick. Once sauce is in right consistency, switch off the flame and serve it hot. Heat water in a pan and add salt. Once water starts boiling, add asparagus and blanch for 20 secs. Switch off the flame and drain the excess water. Heat butter in a pan and once it starts melting add the chopped garlic and fry till brown. Then add the blanched asparagus and stir for few seconds. Serve it hot with cooked Salmon and saffron butter garlic sauce. The flavors from Salmon, bird's eye chili, lemon, and garlic, along with a tasty and colorful sauce complimented each other. My first attempt with Salmon turned out to be a wonderful meal. Thanks to my dear friend Saina, who informed me about the on-going Norwegian Salmon sale at Foodhall. Do try this recipe and share the feedback.